The Massachusetts woman belongs to the Church of the Flying Spaghetti Monster. 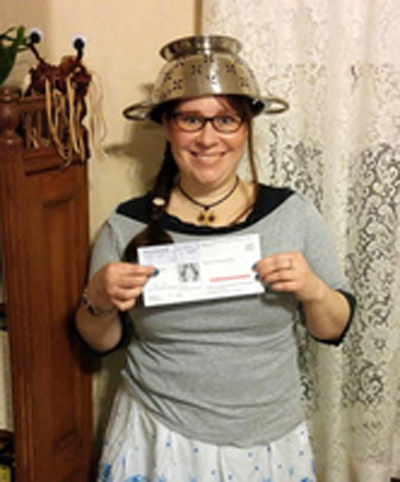 Now, a woman who belongs to the spaghetti-worshipping congregation is being permitted to wear a colander on her head in her Massachusetts driver’s license photo. She feels that it is “an expression of her Pastafarian identity,” according to AHA News. The legal director of the Appignani Humanist Legal Center, David Niose, argued that “if people are given the right to wear religious garments in government ID photos, then this must extend to people who follow the Church of the Flying Spaghetti Monster.” Seems legit. For example, if you’re allowed to wear a cross or Star of David around your neck, why shouldn’t you be able to wear a pasta strainer on your head? That wouldn’t be fair now, would it. 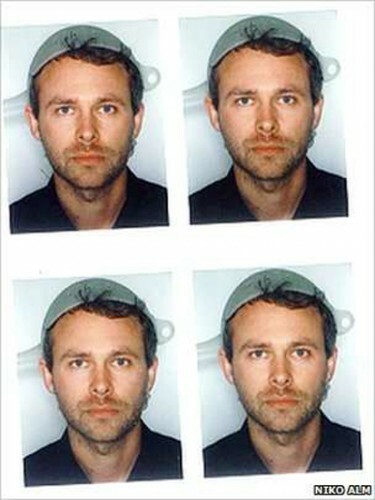 In July 2011, Austrian and Pastafarian Niko Alm was granted permission to wear a colander as religious headgear on his Austrian driver’s license—but Austrian authorities required him to obtain a doctor’s certificate that he was “psychologically fit” to drive.